San Antonio is a growing city in more ways than one. In 2012, San Antonio’s population had a 29 percent obesity rate, which is roughly 400,000 people who were overweight. San Antonio had the second-highest obesity rate in major U.S. cities, according to a Gallup report. Memphis is number one. Many of our favorite foods are loaded with excessive calories and sugar, yet we purchase them anyway. Consider the food offered at San Antonio’s Fiesta events held annually during April. Would you choose a funnel cake, cotton candy, or something deep-fried? What refreshing beverage do you have with those treats? A beer, sweet tea, or soda-pop? The average male needs to consume roughly 2,500 calories a day, and it’s 2,000 calories for a woman. An all-Texan Whataburger with fries and a Coke-A-Cola comes out to 1,310 calories and 95 grams of sugar. That is more than half the recommended calories for one day. Obesity could lead to Type 2 diabetes and heart disease. San Antonio’s diabetic population is at 14 percent, which is double the national average. Heart disease is not only the number one killer in San Antonio, but in America, as well. Beverages can contain massive amounts of processed sugar, which can be very damaging to our bodies. A 16-ounce Starbucks Pumpkin Spice Latte contains more than 50 grams of sugar, equal to more than 12 teaspoons of sugar in each cup. 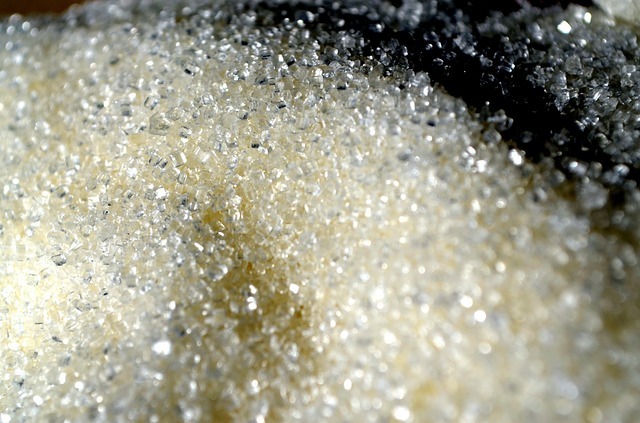 Processed sugar has no vitamins or minerals and no nutritional value. Some cities have tried to put a limit on sugary beverages. New York’s former Mayor Michael Bloomberg designed a portion cap rule. This law would not allow sugary beverages to be sold in quantities larger than 16 ounces, but it was shot down. In San Antonio, Dr. Thomas Schlenker, former director of San Antonio’s Metropolitan Health District, proposed a Drink Less Soda campaign, but his idea was rejected. Letting go of bad habits, like consuming excessive sugar, and practicing new habits, like exercising, is the start of becoming healthy. San Antonio encourages an active lifestyle by providing free outdoor activities, like Síclovía and Fitness In the Park for everyone to enjoy. Many gyms, parks. and opportunities to exercise are available, and it is up to citizens to take advantage of them. For more information on Fitness in the Park, follow them on Twitter @SAParksFitness and visit the Fitness in the Park website.